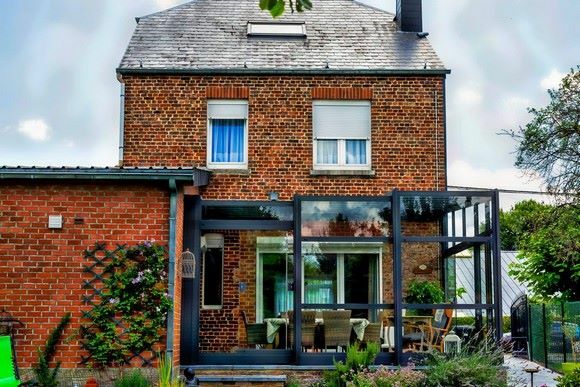 From Spy, in Belgium, Verandair designs and manufactures retractable bioclimatic terrace shelters. For almost 30 years, this family-owned SME has positioned itself as a specialist in retractable aluminum structures. If Verandair is active daily in a dozen European countries, it also exports its products to Africa and North America. Verandair has already completed more than 5,000 installations around the world and employs 30 people. 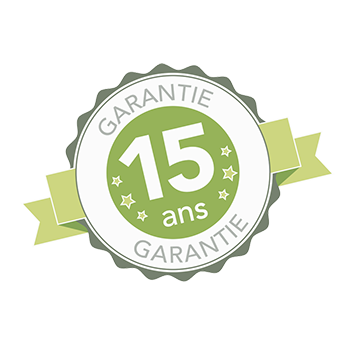 Verandair®’s terrace shelters have 15 year warranty on the structure. Would you like to be able to enjoy your patio in winter and summer alike? The Verandair® retractable veranda is THE solution! Lovely weather? Use your patio as you normally would. Not-so-nice weather brewing? Open out your retractable patio cover in a snap and continue enjoying your outdoor space just as with a conventional veranda. The retractable veranda! The pluses of a veranda, without the minuses! Verandair® is the only Belgian manufacturer offering fully opening, ground-level, railed or rail-less verandas for the past 20 years. Verandair® creates custom-made solutions to meet the requirements of all its customers. How would you like to enjoy your outdoor space, sheltered from wind, rain, and even sun? Try the Verandair® pergolas! They’re easier, less costly and more open than retractable verandas. Pergolas let you enjoy your garden in the shade. Verandair® pergolas can be assembled with a transparent glass or opaque top according to customer preference and requirement. Pergolas are enjoyable, one-of-a-kind places to relax. 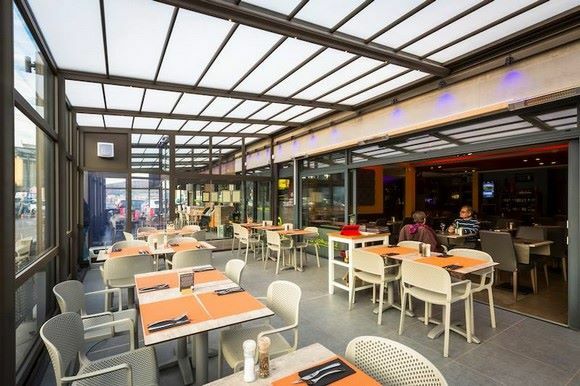 Do you own a patio but can’t enjoy it as much as you’d like because of fickle weather? 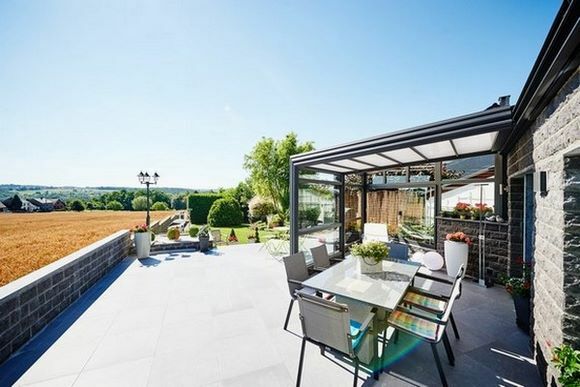 Wouldn’t you like to have a veranda built with a view to keeping your outdoor space as is? And how about a patio cover? Verandair® patio covers are designed using the finest materials, so that you can enjoy your garden for as long as you wish. Are your ever-increasing restaurant customers cramped for space? 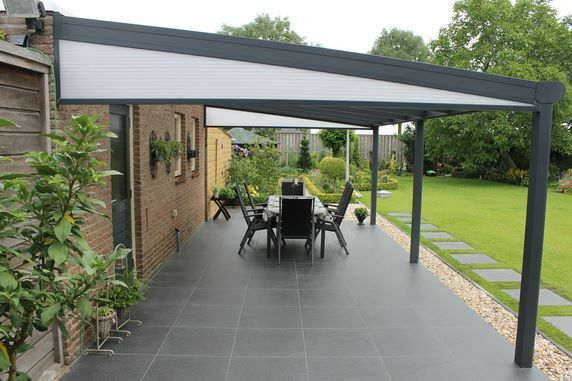 Would you like to erect a cover over an outside patio? Create an extended reception hall? Revise your bar layout? Consider Verandair® verandas! Verandair® caters to both personal and business settings and offers 100% custom-made structures to meet all professional requirements in the hospitality sector.